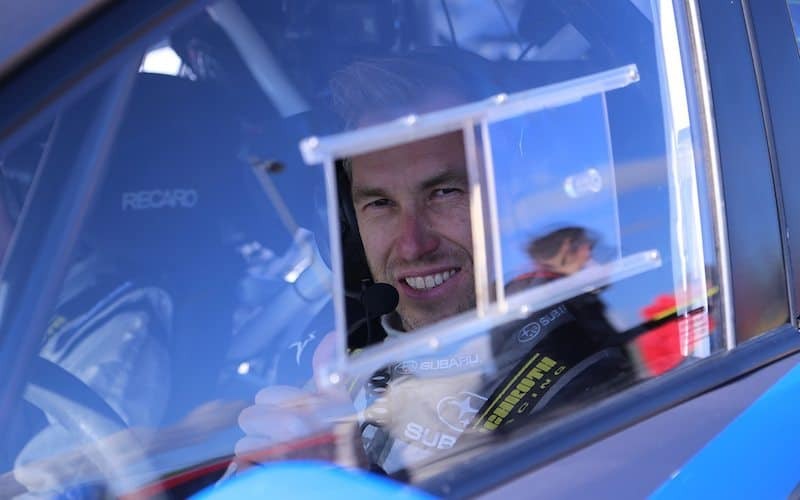 Australian Chris Atkinson, will again jump behind the wheel of his Subaru as he competes in his second rally for Subaru Rally Team USA in Pennsylvania. It was only last weekend where Atkinson and teammates, Patrik Sandell and David Higgins competed in the inaugural Americas Rallycross (ARX). Atkinson and co-driver, Stephane Prevot will be at the Susquehannock Trail Performance Rally (STPR), driving their open class Subaru WRX STI. “It sounds like a tough stage rally at STPR. I’m looking forward to getting back in the rally car with no pressure there and I’m just going to enjoy the rally,” he said. One pass recce, however, will be difficult for Atkinson on a brand new event. “With one pass recce, and since I don’t know the roads at all, it’s going to be a big learning experience,” he added. “If we are going to have the pace again, we sure can have a good rally there,“ he concluded. The surface of hard packed clay and stone will provide a big challenge for crews which include Atkinson’s Subaru teammate, Higgins. “It is really a difficult rally especially when weather can come in and it can create very difficult, slippery conditions,” he said. The 15 stages throughout the weekend include no less than four night stages, creating a unique challenge in the American darkness.